Make this Valentine's Day extra special with a gift that will make them blush! 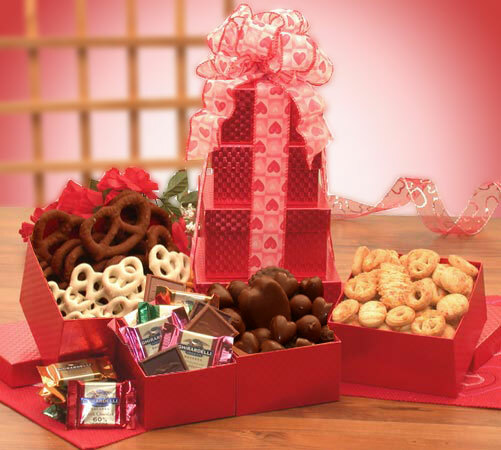 This 4-tier tower is filled with all their favorite goodies and lots of chocolate! Tower measures 14" tall and weighs 3 pounds complete.